Google has slashed the price of its Nexus 4  smartphone to $199 unlocked (no contract required) for 8GB version and $249 unlocked (no contract required) for 16GB version. Nine months ago, Google launched the Nexus 4  to much fanfare at a cool $299. This version came packed with a 1.5GHz quad core processor, a 4.7-inch 1280 x 768 display, 2GB RAM, 8GB internal storage and an 8-megapixel camera while the 16GB version cost $349. Even at $299/$349 the phone was a huge bargain and was sold out within minutes of release . This price drop now makes this phone an ever better deal. In fact, this is one of the most affordable — if not the most affordable — high-end quad-core Android devices available on the market today. With the quality hardware specs inside this bad boy, a $199 price tag is practically a steal, and you should take advantage of this if you are in the market for a smartphone. The big downside to the Nexus 4 is the lack of a microSD card slot. This is a problem because the device only comes pre-packed with 8GB or 16GB of internal storage, so unless you don’t use a lot of space or have an interest in using Google Drive or some other cloud storage solution such as SkyDrive and Dropbox, the Google Nexus 4 might not be the smartphone you are looking for. Still, though, at $199/$249 unlocked, lacking a microSD card can be overlooked. It is possible this price drop is a response to Apple’s rumored launch of the iPhone 5C  next month, or Google might be planning to announce the Nexus 5 sooner rather than later. Personally, I’m hoping for the latter. 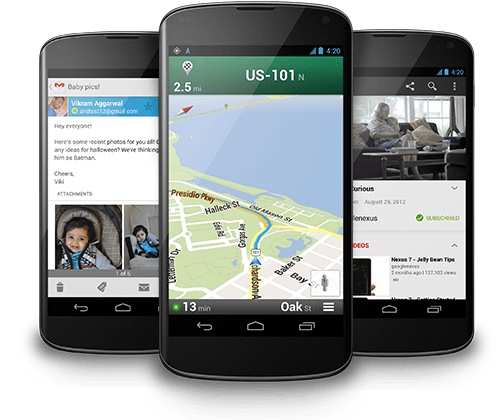 You can grab the Nexus 4 from its official Google Play Store page  or a retailer near you. Take note availability of the device is limited, not only in quantity but also geographic location.